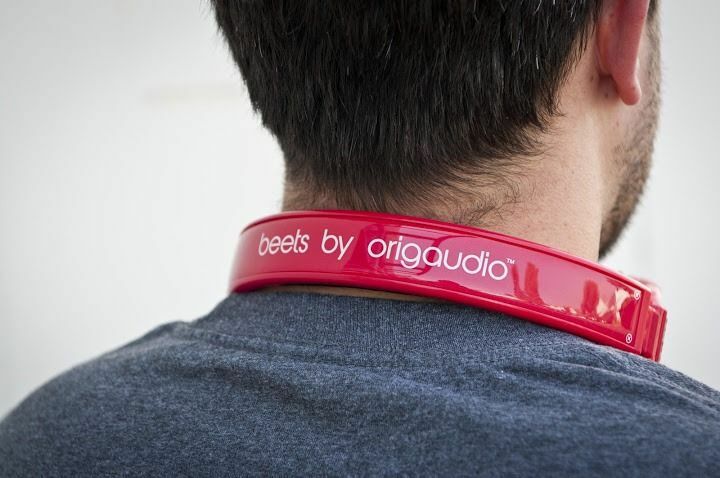 “Beets” by OrigAudio headphones comes in six colors: black, red, pink, blue, green, and white. Generously priced at just $25, the headphones feature full stereo sound with outside noise reduction technology, volume control, soft-cushioned ear cups, hard exterior travel case, a 3.5mm jack to hook up with any MP3 playing device, and a frequency response of 20Hz to 20kHz. 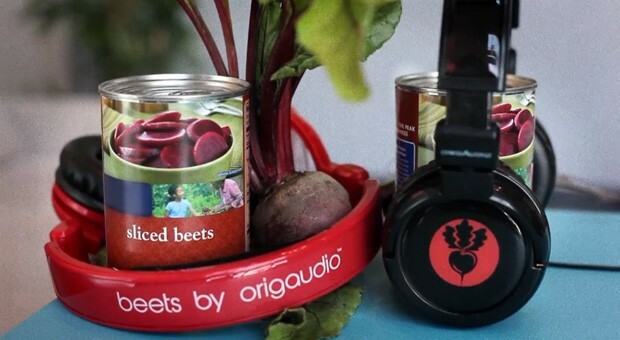 While it’s impressive the amount of technology they were able to pack in to such a low-priced piece of gadgetry, what’s particularly cool about “Beets” is the fact that OrigAudio donates a can of beets to Second Harvest Food Bank of Orange County with every purchase. Not sure if being generous and working with a charity is enough to keep the “Beats by Dre” lawyers off OrigAudio’s back, but hey, might as well keep pumping out the product till they come knocking. Promo video below. Great work guys! This entry was posted in music, tech news and tagged audio technology, Beats by Dre, Beets by OrigAudio, cheap headphones, electronics, mobile technology, new headphones, OrigAudio, second harvest food bank, tech news, technology by jeffbausch. Bookmark the permalink.